91 S4, auto, sunroof, A/C not working, new steering rack. So, I looked at this car back in August and passed on it. The owner wanted $12K, looked at pictures and descriptions and countered at $11K, subject to drive. The ride was very stiff, old twist knuckles spacers in the rear coils and the car still sat low. The paint and dash were very nice, seats and the rest of the interior just OK. Cold oil pressure was good, but once warmed up, the oil pressure dropped to almost nothing at idle. Thrust bearings? 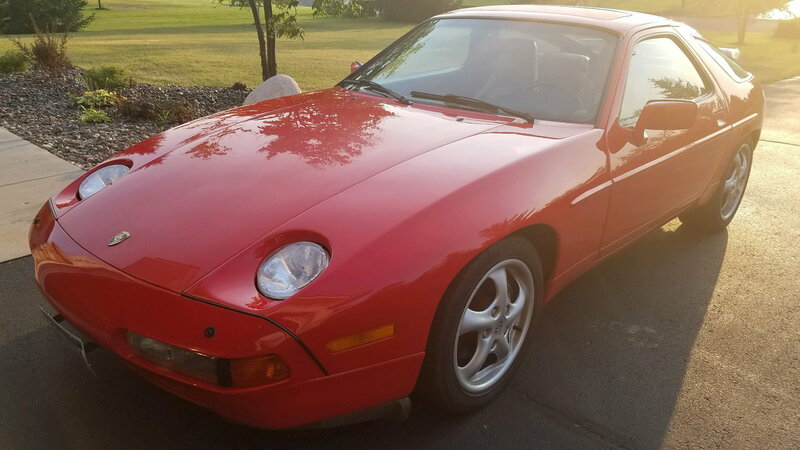 I just got a text from the owner (not a Porsche guy) wondering if I had found a different car and stating he was open to any offer, needed to make room in his garage. He had bought a Hellcat prior to placing the 928 up for sale in August. The other interesting thing, salvage title. The car was stolen in California shortly after initial sale in 92 or 93 and car fax confirmed the title issue from back then. What is this thing really worth and is anyone interested? I bought a really nice 80 and am getting my 83 Euro ready for sale, so I don’t have a strong interest in buying this, but I’m curious as to value and through i’d pass it along if anyone else wanted to get it. The car is near Minneapolis. The pics don't match the actual car. Or do they? Please explain: you say it is automatic. 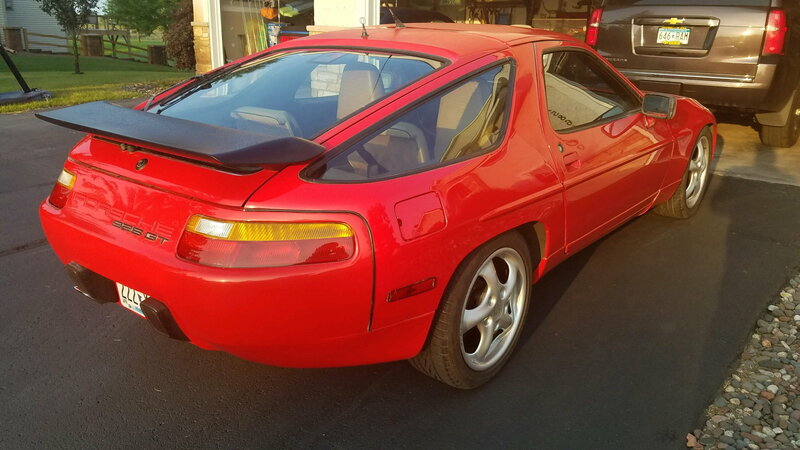 In the first pic, the rear bumper shows "928 GT." When it was salvaged and I assume repaired they put a GT badged bumper on it? The alignment of the GT looks a little off so I'm thinking that is not original? Some teenager playing with letters? I don’t think the car, as it sits, is worth anywhere around $12K. The owner obviously doesn’t either, as he texted me looking for “any offer”. The oil pressure seems to have been an issue for a while, as the current owner had the car serviced for “oil pressure readings”. The shop, supposedly an independent that has 928 experience, replaced the sender. Pictures are of the car. Yes, the GT badge is incorrect. It is an automatic. Anyone have an opinion on value, assuming the engine is bad? But..it needs a lot of work..its off the bottom of the Haggarty scale. Whoa, assuming the engine is bad is a very far leap from what's been posted so far. It might be as simple as someone putting modern 5-20 oil in it. Or, the cam plug, or worn oil pump gears. If the int is similar to the ext, that's a lot of cost avoided. I'm not going to offer a number until we KNOW the engine situation. Metal in the filter? Correct oil? Cam plugs all fitted? Flex plate relief with new clamp? I mean, if the guy just wants it out of there I'll toss $5k at it right now. As far as I'm concerned there isn't a Twin Cities shop, independent or Dealer, that I would let near my 928 Engine! I verified this with a retired factory trained 928 Mechanic. Suspension is a different story. Wondering what Independent looked at this car? I don’t know the engine is bad, but I don’t know that it’s good. Local work was done by “Auto Edge”. I have a copy of the work order and bill. The interior is mostly decent, but the front seats have been coated with something to fill cracks that looks like crap. I’m not interested right now. If someone is, pm me and I’ll provide contact info. Auto Edge does good work on 911's and 924/944's. 928 engine work, no way. We’re not talking an engine rebuild, just manual check of oil pressure and replacing a sender. 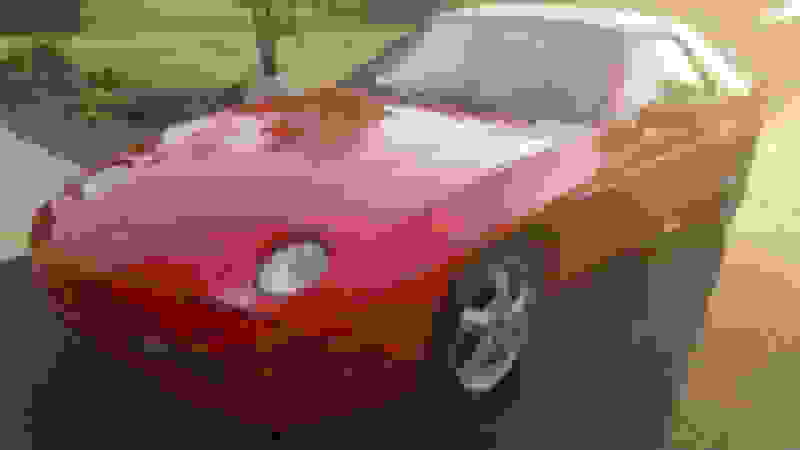 Hence my comment about Auto Edge being capable of working on and diagnosing 928 problems. Oil pressure problem is still there! Just got a text offering the car for $8750. Still way too much for the unknowns. Someone had a very nice 87 in Sioux Falls SD with no known issues for about that same amount.